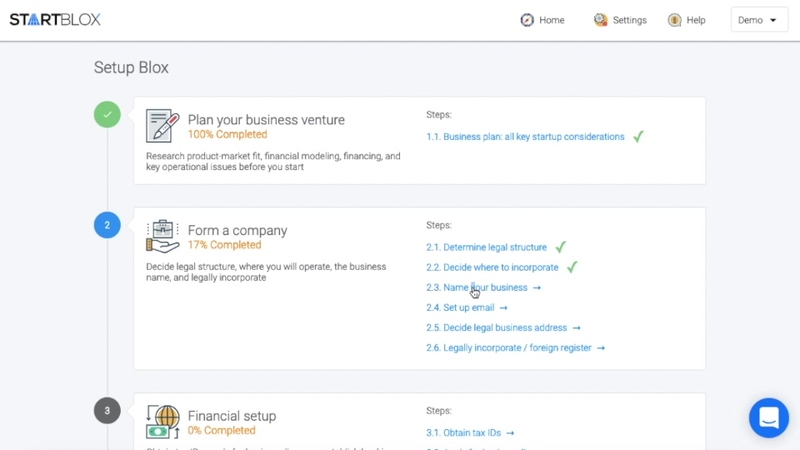 StartBlox jumpstarts your big idea with clear and easy lists and links that turn startup questions into achievable answers. Our launch wizard takes stock of what you’ve already done and helps answer one important question: What do I do now? Customize your timelines for checking off the list of things you need to get done across six key blox. Visualize every step of the way with clear progress tracking and your personal StartScoreTM. We don’t just tell you what to do. We give you access to the resources to do it, with customized tools and links to the people you need, like local lawyers, digital marketing agencies, government offices and more. It’s your business, but you’re not alone. Our StartScoreTM ranks your progress (anonymously) with other founders just like you.